Trees exist all over the world, in different shapes, colors, and sizes. Trees not only produce fruit and house all sorts of animal life, but also provide us with the precious oxygen that keeps the entire world going one breath at a time. Yet for all their benefits, trees can still become a nuisance. Trees on homeowner property need to be kept in check to prevent overgrowth, and fallen trees can prove to be both an inconvenience and a danger. Other trees can become sick and pose a threat to nearby trees, and need to be removed. The experts at Amazing Tree Services have been regularly providing tree service in NJ to counter and resolve issues much like these, helping homeowners coexist with the trees that grow on their properties. Trimming your trees is more than keeping them looking fresh. Regular clippings can remove diseases before they spread and keep your trees growing tall and bountiful, just as they were meant. This can aid in fruit or flower development, and also keep the trees alive for longer than they would have otherwise. Well-performed pruning will also guide the trees’ growth, keeping their balance from shifting and preventing the trees’ growth from interfering with your home or building. Sometimes the best solution available is to get rid of problematic trees. One tree service in NJ offered by Amazing Tree Services is tree removal. Tree removal is a multi-step process that first involves carefully felling the problem tree, and then having it split into manageable pieces before transporting it from your property. Leave this to the professionals! An amateur hand can run the risk of accidentally bringing a tree down onto your house or other parts of your property that you’d prefer remain undamaged. At Amazing Tree Services, our specialists have both the technology and the know-how to keep unfortunate accidents from occurring. Once a tree has fallen, whether at the machinations of man or from the unpredictable ravages of nature, it can leave behind an unsightly stump that could be notoriously difficult to remove. Without the proper equipment, a stump is probably not going anywhere. 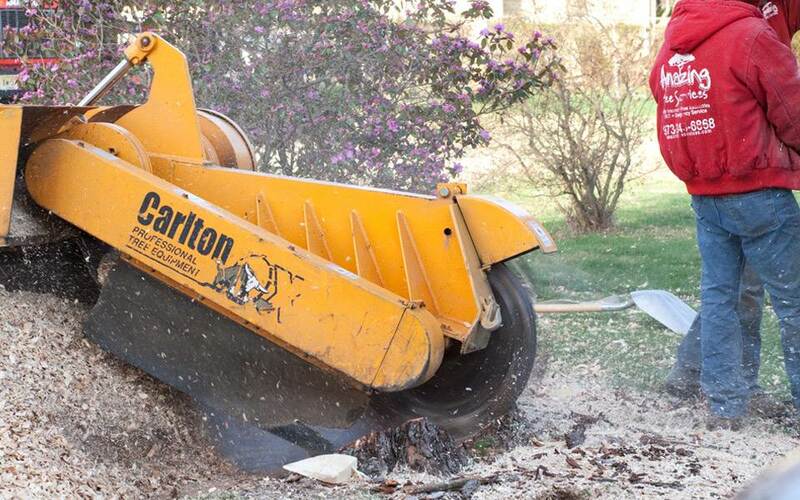 That’s why Amazing Tree Services offers stump grinding services, using the right tools for the job and taking care of your leftover stumps quickly and efficiently. 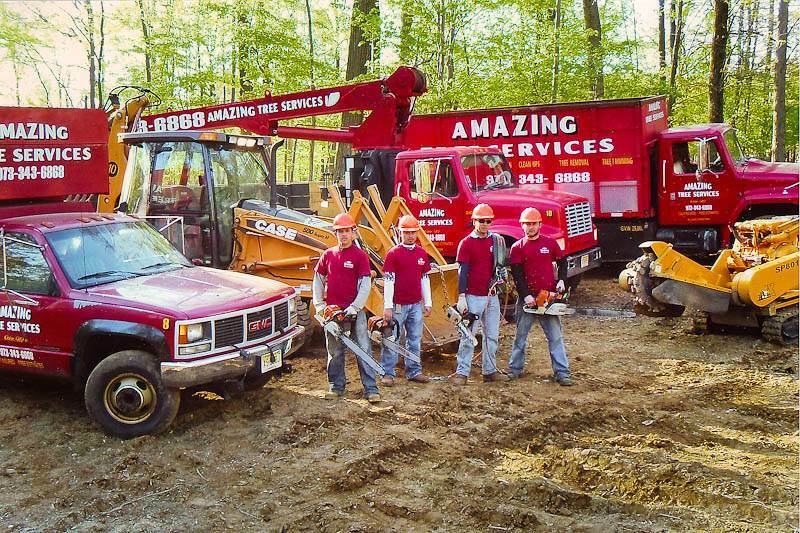 If you need any tree service in NJ, call Amazing Tree Services at (973) 343-6868 and ask for a free estimate to find out what we can do for you!